We recently caught up with Tom Young of Bedfordshire, England. 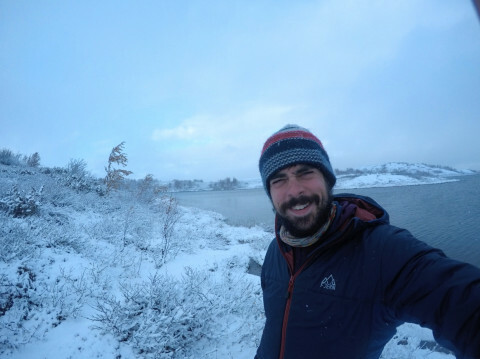 Earlier this year, the 29-year-old adventurer completed an incredible 800-mile trek across Lapland, the Arctic Circle region of mainland Europe. This is his story. You recently finished a big expedition? Tell us the basics. How far? What was your goal? 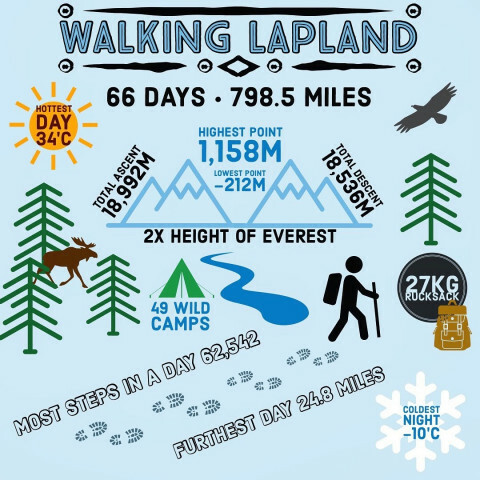 The idea of the trip was fairly simple; to walk solo across the length of Lapland, through some of the wildest and most untamed lands in Europe. Excluding the odd detour, I hiked 800 miles across Lapland, the Arctic circle region of mainland Europe. Why did you do this trip? The trip was an adventure to push my boundaries and experience wilderness on a scale that no longer exists in the UK where much of it has been destroyed. I hoped the trip would raise awareness for the concept of rewilding in the UK, a movement where land is given a chance to recover and function as a natural ecosystem once again. 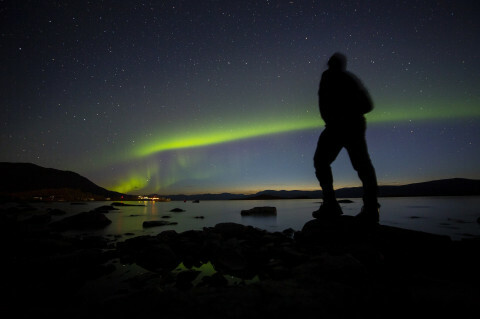 Lapland still has many of the wild plants and animals that have been wiped out of the UK, including bears, wolves, lynx, moose, beavers, boar and an abundance of bird life. Did you do the trip by yourself? How many miles did you average a day? 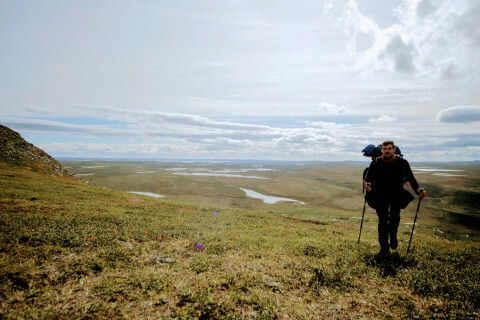 I hiked alone for 800 miles, carrying all I needed on my back, camping in the wilderness over 66 days, averaging 12 miles per day through glacial mountain ranges, dense forests and arctic tundra. There must be a lot of logistics with a trip like this. How did you re-supply gear and food along the way? Having to carry everything including food, water, camera equipment, camping equipment and emergency kit meant that my rucksack weighed between 26 and 30 kg depending on how much food and water I had consumed. I planned each camp based on available water sources and every two weeks my route passed through a road or small town that I could resupply and potentially rest if needed. What were your top 3 favorite spots along the journey? There were some exceptionally beautiful landscapes throughout my journey, but without a doubt my favourite had to be the wonderful Norwegian Reisa National Park; a huge, steep-sided valley with numerous gigantic waterfalls powering into the river below and surrounded by mixed forest of pines and birches. Wild raspberries and blueberries were abundant throughout and added some much needed fresh food to my porridge in the mornings. Sarek National Park in Sweden was stunning too, it's sheer scale of free flowing rivers, glacial mountains and forests were exciting enough, but knowing bears, lynx, moose and occasionally wolves passed through and lived here was enchanting. I was also impressed with Knivskjellodden, my starting point, where huge barren headlands of rock jutted out at the most Northern point of mainland Europe. What was most surprising about the journey? Something I wasn’t expecting was the immense kindness of the people I met. It wasn’t often, but when I did meet strangers in the wilderness they would quickly feel like friends, and would often offer to help in some way. Whether it was donating me chocolate, making me a much needed coffee or even cooking me an entire dinner. It was overwhelming at times and truly inspirational. The first two weeks was immensely difficult, both physically and mentally. Knowing there was so far ahead, and not used to carrying so much weight for such long periods of time was exhausting. 24 hours of sunlight and searing heat up to 35℃ added to the intensity and made for an incredibly challenging start to the expedition. How did you use ViewRanger? What’s your favorite ViewRanger feature? The ability to use offline maps was revolutionary for me. I kept my phone in aeroplane mode to conserve battery, sometimes lasting a week after a full charge on my solar panels, and yet I could regularly check my map, plot my routes for the day and figure out the best locations to aim for to set up camp. And when heavy mist set in over an environment of featureless and barren tundra, I could pinpoint my exact location and use my compass to navigate safely in a remote location. Before I left, I was also able to plot the locations of towns that I could resupply at which I found extremely useful. You are back home now? And working on a film about the expedition? 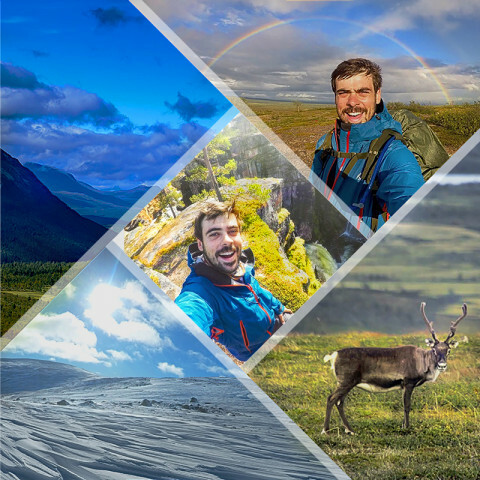 Now I am home I am working on a talk to tour schools with about wildlife and adventure whilst working on a short adventure documentary about the expedition, ready for the New Year. Or search for Tom Young Wildlife on Facebook & @tom_willy_young Instagram.